Three bookworms at Newstalk choose the best books for Chrismtas 2014 and The Christmas Truce is one of them. Listen to the review at Newstalk. Just announced. 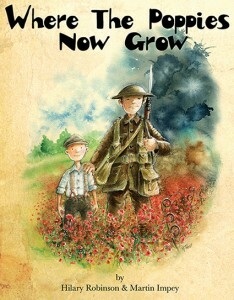 Where The Poppies Now Grow has been nominated for both The Carnegie Award and The Kate Greenaway Award 2015 – the most prestigious awards in children’s literature. 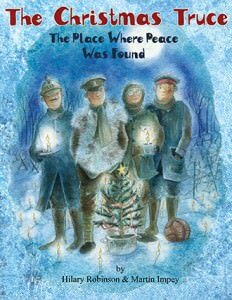 The sequel to the hugely popular Where The Poppies Now Grow, The Christmas Truce, is now available to buy online. It would make a lovely Christmas gift for children to learn about World War 1. “Where The Poppies Now Grow” and “The Christmas Truce” have been listed by The School Run in their top WW1 books for children. Read more here. 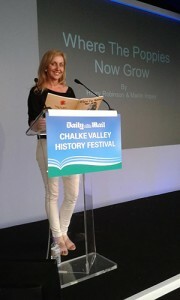 Hilary, along with illustrator Martin Impey, was delighted to take part in the Chalke Valley History Festival 2014 where audiences were able to find out more about Where The Poppies Now Grow. Seven Stories, the Centre For Children’s Books, are running a competition, the winners of which will be able to dedicate Hilary’s new book, The Christmas Truce, to a war hero. More details at Seven Stories. 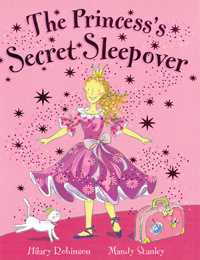 Hilary’s publishers, Little Tiger Press have just announced that her book The Princess’s Secret Sleepover, illustrated by Mandy Stanley, is to be sold as part of a ten book set in the USA. Gervase Phinn, Best Selling Author and former County Inspector of Schools has reviewed and endorsed Where The Poppies Now Grow, written to commemorate the centenary of the start of the First World War.